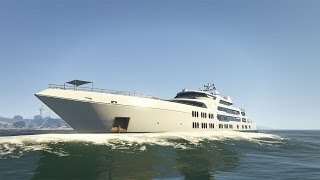 Brings the Super Yachts from the Online to single player, with extra customization. 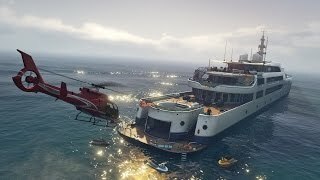 You can place props/vehicles/peds on your Yacht and take them with you! You need the new Online update, otherwise this will not work. 3. Unzip everything to the scripts/ folder. If it doesn't exist, create it. 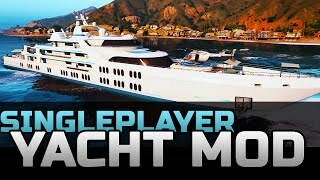 You can create prop maps for yachts. 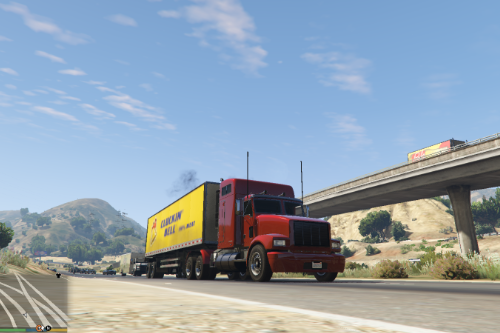 These objects/vehicles/peds will be teleported with you when you move your boat. First of all, install Map Editor. 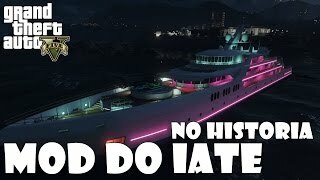 Go to External Mods and select either of the yachts. 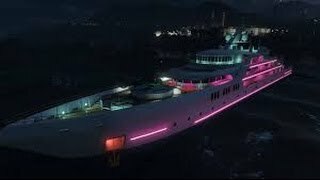 A yacht will be created near the pier for you to place your props. When done, press Save Map, type in the map name and select the boat models the map is available for. Done! Take note that you will not be able to load the map back into the map editor. - You can't change the boat's paint pattern or the plaque, since I don't know how to (yet). -- Removed the F5 menu. Now you can purchase new Yachts at Puerto Del Sol Marina. (Marked by a blue yacht on the map). 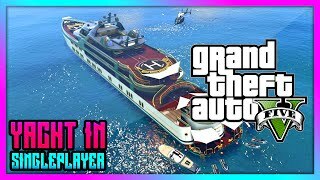 -- Added live preview when purchasing the yachts. -- You can't relocate the yacht to an already occupied location. -- Added option to sell the yacht. -- No more insolid boats. Syste.NullReferenceException: Object Reference not set to an instance of an object. Any clue to what this error is pointing, and how to either fix or circumvent it? You've created a file that doesn't let THE OWNER OF THE COMPUTER IT'S ON to make changes to it. Every time I try to delete it, i get the error "You require permission from *name of computer*\*my username* to make changes to this folder"
I have to move my entire GTA V directory because of this mod. I can't even use fileassassin to delete it because I get an "Access Denied" error every time I try to open one of the subfolders. I cannot fathom how you managed to do this. It was easier to access a half-burned hard drive ripped from my last computer. When comes a new update ? 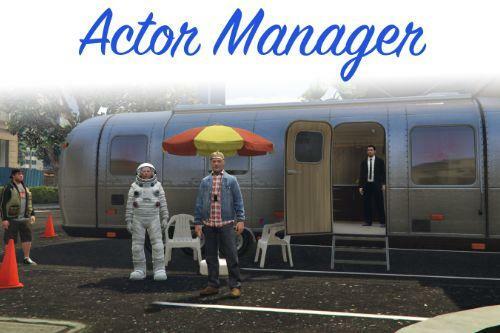 i see script hook needed for this mod is dead...so how can we get GTA 5 mods to work without script hook? Finnally it's work! 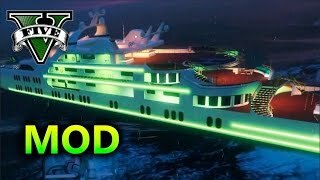 For who that can't see yatch icon,just press "INSERT"
This is amazing, great effort with this mod! Of course the teleport must exist in every location on the beach, where the yacht can be. And of course the teleport must be with manual activation (i mean - i stand on the beach on the marker, then i press "E" to teleport), because if teleport will be automatic and the car will be moving to the teleport then after teleportation i just simply crush the car inside the garage... If you can do this, it would be AWESOME!!!!!! 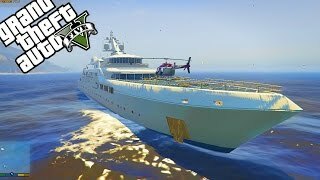 Nice mod, but I wish there was a way to activate all the online features when customizing your yacht. At present, I can't sleep in any beds the bartender doesn't serve drinks and no Merryweather Security. If all that worked, I'd happily give 5/5. 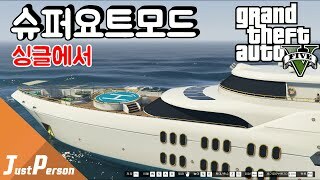 @Guadmaz good mod but when i uninstall the mod by removing the scripts in the scripts folder the yacht and the blip is still in the game. how come? @jcbbxx315 It'd be appreciated if you'd upload you're saved yacht.xml here. Either copy and paste the contents into pastebin and post a link. Hope all is good.